Hello everyone, I have just join the stargazers-lounge and I am not familiar with the topics yet. But to start I would like some recommendation about what telescope can I buy as I am now ready to get one. 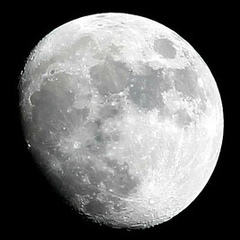 I would like to look at the moon as close as it can be seen, I have purchase since last year one pair of binoculars: "Helios, Nature-sport, 10 x 50 Wide Angle binoculars, black ruber" and been seeing the moon and constellations, every two weeks. 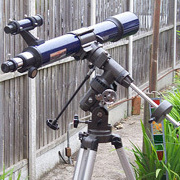 There is a list of telescopes for beginners on our FLO sponsors website. There is also plenty of general advice on this forum, and on the Internet. If you need specific advice you need to give us some more information about your budget, how far you need to carry the telescope to get a view of the sky, whether you want a manual or powered mount, etc. Hi Geoff and Joc, my budget is about £500 to spend, the position where I am is not good at all because, is in middle of residency in a first floor, with binoculars there is no problem but with telescope I will have problems. Hello Julio and welcome to SGL. The Binoculars you bought are a perfect start and even if you have a telescope you will still use them. You have received some good advice from above and I would add that in general the best scope to start with is a Dobsonian as they offer the best combination between performance and cost. Do you have a balcony or will you have to carry the telescope outside ? No, I don't have a balcony, my plans are to carry the telescope to places were by would be suitable to use it. From my place I only can observe the moon when it appear about 45 degrees angle from my position. Hi Vlaiv, if necessary I still can add up another £500 on top to make it £1000 as long as I can really see something there should be no problems at all. The scope only comes with one eyepiece, a 26mm plossl (38x magnification), and you will need to buy a couple of higher power eyepieces. The price shows there is £222 only! I'm concerned about portability and storage requirements. Depends what you mean by "to really seeing something". We need to be a bit technical on that one, but nothing too complicated. With observing the moon and the planets (if these are your primary interest at the moment - and given that you live in London, due to light pollution, that is pretty much it observing wise plus maybe the brightest deep sky objects) - aperture is most important thing - it gives you resolution and useful magnification. However, maximum magnification and resolution that you can achieve is limited by atmosphere - turbulence in atmosphere, also known as seeing (think of looking over flames - everything wobbles and distorts) usually limits magnification to x100-200 range. Telescopes from 4" up to 6" are enough to provide you with that kind of magnification. Larger apertures will let you achieve higher magnifications, but those will be useful only on rare nights of good to excellent seeing. Compact scopes are probably easiest to carry around and store - these include Maks and SCTs. Larger scopes require larger and sturdier mounts. 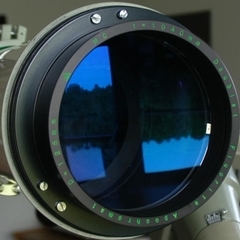 Mount is also important for high magnification viewing - you want it to be stable and have minimum shake. Tracking mount is also a plus. If you go for larger aperture, weight adds up quite fast. Much easier carrying less than 10kg equipment around than it is 15 or 20kg. Last thing you want to happen is to start skipping observing sessions and not enjoying your self because you can't be bothered to haul all that heavy equipment around. Sometimes less is more. There is "old saying" about scopes - best scope is one that gets used. If you want to go refractor route - and only thing that you need to consider are cost (but you can budget in for £1000, so you are covered there) and size. Refractors are longer scopes, and you will probably want to limit yourself to 4". In comparison to these two scopes above, mentioned AR102L is achromatic refractor, and such telescope suffers from chromatic aberration - "purple fringing" around bright objects and lower overall contrast because of that. It is good choice as low cost instrument, but if you can afford them, you should be looking at ED doublets that have better color correction (like two above). I have scope similar to AR102L - SW 100 Evostar (not ED) - it is large scope. Most telescopes are larger in person than looking at images in commercials (either printed or online) - thing to consider. If you want to see how big scope is - look at images of said scope with person next to it or holding it. Either do some more research, or maybe provide a bit more information on how you plan to store your scope and how are you going to use it (transportation and setup) as well as what you expect from it - this information will help in recommending good options to you. Yes, I do mean that scope, it is a very good quality one, the price of the mount is £170 so that takes the price to £392 for both OTA and mount, with a bit to spare for a couple of eyepieces. Okay, I have gone through all the links that was provided and I am now reflecting on the various options here. I would be more then happy if I could as Vlaiv said, and I cote: (but you will not need x0.85 matching reducer - that is for astro photography mostly), yes but if I can photograph the images up there would be very good. I am on my third year of Bsc (Honours Natural Science and my root is Astronomy, Interplanetary and search for life out there. This is why I want to acquire a perfect telescope if I may. Taking images of astronomy targets is very much different game than regular observing - much more expensive and involved. With any given scope that you choose to use for observing the Moon and planets - you will be able to get decent images of those provided that you use suitable camera for planetary work and learn how to acquire and process such images. One thing to note about planetary AP - aperture matters even more than visual - with processing techniques you will be able to "sharpen" up view, and barrier posed by atmosphere is not limiting factor (as much as for visual). Maybe take it step at a time? Go with scope that you will use for visual - maybe go with compact design if you plan to get involved with planetary AP later, and get a tracking mount. 5-6" Mak or SCT on a driven mount (can be alt-az for planetary) is your best bet given what we know requirements are. Later look at decent planetary camera and lap top to capture images of Moon and planets. Note that the az-gti mount (suggested earlier) can be used in EQ mode so it does give a step into imaging DSO particularly if using just a camera with camera lens. You would need a wedge and counter weight bar and the updated firmware for the mount. The ED80 is probably a bit too long for the mount so the 127mm mak would givr you the Moon closer view and a camera and lens the DSO imaging toe dipping where the EQ mode ability would be of benefit. This is a video. link here. Okay I have gone through all the advice hereon the forum and I have visited the links given too. I am very happy with the information that I was given therefore, I decided to buy one of those mentioned here. But because I have never used on before, I have to trust on all of you who give me the advice. Finally my question is which one should I go for, and how can I buy it? Obs: I would like to keep a record of the observations done if possible with this telescope. I am now ready to buy, just need the instructions and I will follow through. Hi Julio, at the end of the day, the choice of one of the above options is down to you, you might want to catch up with an astronomy group in your area, the Baker Street Irregulars comes to mind (https://www.bakerstreetastro.org/). Whilst it is difficult to choose, portability is an important factor for you so build from this pre-requsite. 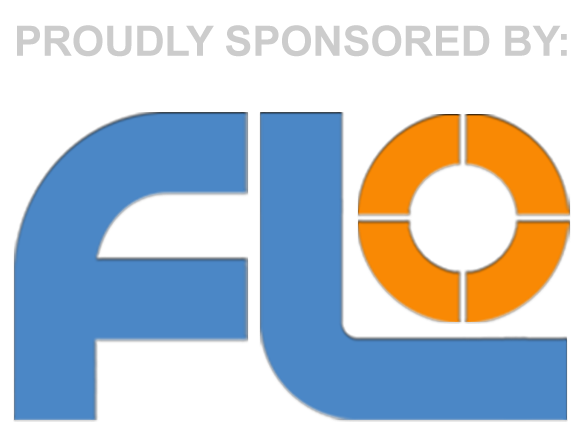 You asked about where you can buy the telescope, it's always best to go through a specialist astronomy supplier such as the forum sponsors, FLO, whose banner is at the head of this page, just click on that. Good luck with your choices! I will also get the mount: SW AZ4 and as you said it is manual mount. Any more thing that I need to add to this issue?. HI, I guess you did indeed address me in your post (good thing to do when addressing someone on forum is to either quote their post, or use "mention" format like this - @JulioA lbano - that way they get notified and can otherwise miss your post). If you are set on that particular scope - it comes with most accessories that you will need, which include diagonal, one eyepiece, finder scope, mounting rings and dovetail plate. SW AZ4 will serve you good for observing and you will be able to do some single shots of Moon with your DSLR if you decide to go that route. For attaching DSLR to telescope you will need T2 adapter for your particular camera. You will be able to use your telescope as very large telephoto lens as well for day time photography. Usually correctors work at particular distance to sensor, so make sure you calculate distance properly and add T2 extension if needed. They are considered very good performance for the money and are often recommended as a first step from stock eyepieces that come with most telescopes. 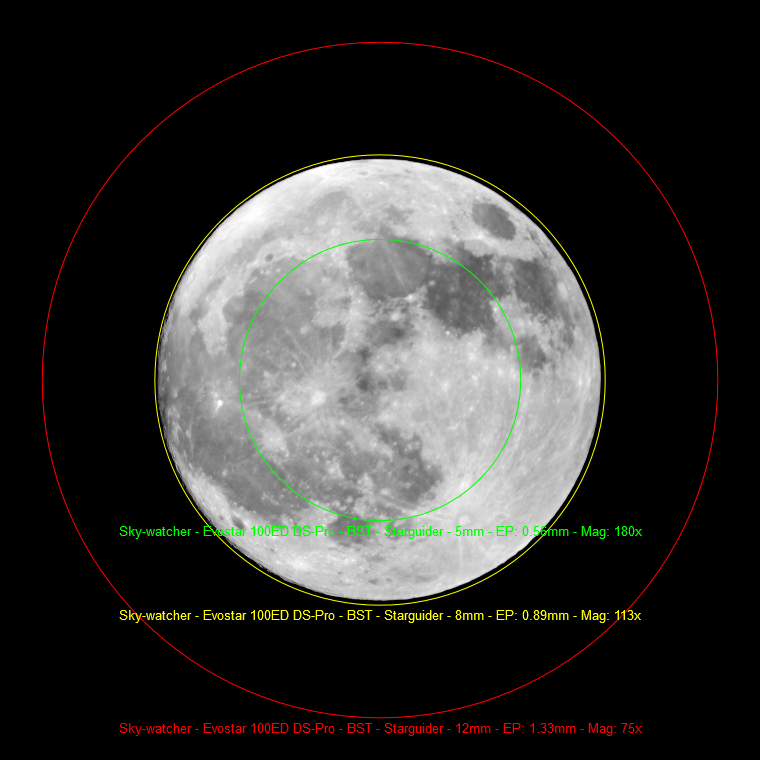 For Moon and planets, you should consider 5, 8 and 12mm focal lengths. 8mm will probably be most used high power focal length, as it will provide you with magnification of just over x100. With 5mm you will get very high magnification approaching maximum magnification of telescope - at x180. Atmospheric seeing will be limiting factor for this eyepiece on most nights. 12mm will give you somewhat lower magnification - x75. 12mm will hold full Moon disk nicely in eyepiece, with you will be barely able to fit moon disk in eyepiece FOV and with 5mm you will focus on surface details.